Kent-based pro audio firm Old Barn Audio has recently specified and supplied a Martin Audio sound system to Huddersfield University. 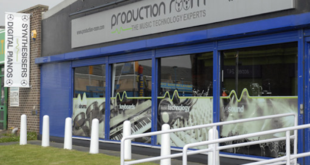 The installation comes as part of Huddersfield University’s audio refurb, as the educational facility recently set out to upgrade its FOH system for students taking sound engineering degree courses. Furthermore, the system, which comprises WS18X sub bass units and WT3 mid / high cabinets is controlled and powered entirely by Martin Audio electronics. Jamie Vizard, principal lecturer at Huddersfield University, is a long time user of Martin Audio products and is “delighted” to now be able to offer his students the opportunity to develop their skills using Martin Audio products. For more on Old Barn Audio please visit http://www.oldbarnaudio.co.uk/.